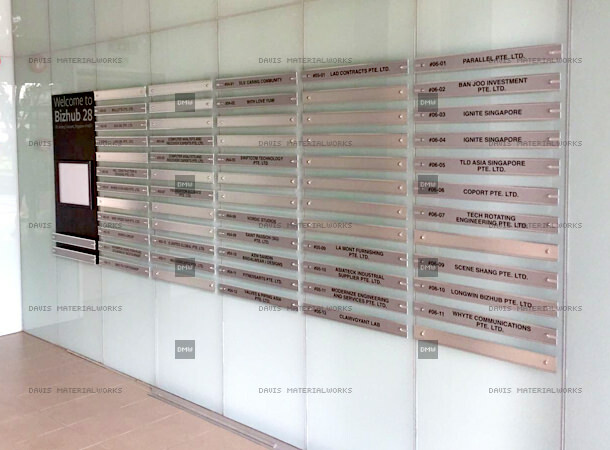 The building directory sign is completed by us after the previous contractor finished half way without the signs. We tried our best to finish up the leftover job base on whatever conditions was already there. Note: Each sign for the directory will be charged at $39.00 (include delivery & Install). This price is strictly for Owners & Tenant of Bizhub 28. Price may change in the future without notice, but we will inform you in advance.